Wakiso District Service Commission officials are under investigation over alleged bribery following their decision to re-advertise 46 positions in the different town councils and municipalities. The District Police Commander, Mr Justus Tashobya, said they have received reports that some members of the service commission are soliciting bribes from job applicants even before the closure of the March 10 application deadline. Mr Tashobya said the bribes are being paid through mobile money. On February 14, an advert placed in the daily newspapers and signed by the Acting Secretary the District Service Commission called for applications to fill 46 positions in different municipalities and town councils that include those of deputy town clerks, senior assistant town clerks, treasurer, senior human resource officer, municipal engineers and accountants. However, staff, who have been serving in some of the positions in acting capacity, have accused the officials of flouting the Local Government standing orders on recruitment, saying they should be given priority before outsourcing new employees. “You cannot advert jobs where there are officials already. Whoever has placed the advert knows that all processes as stipulated in the 2016 guidelines for implementation local government structures have been flouted,” said one of the affected staff in Nansana Municipality, who refused to be named for fear of reprisal. The town clerk Makindye Ssabagabo Municipality, Mr Uthman Ssebadduka, has also written a protest letter to the Wakiso Chief Administrative Officer over the matter. Mr Ssebadduka indicated that whereas he had recommended that staff on probation and acting capacities be officially appointed, he was disappointed to hear that some of their positions have been re-advertised. However, the secretary to the district service commission, Mr Mukasa Sewankambo, defended the job advert, saying it is within the law. 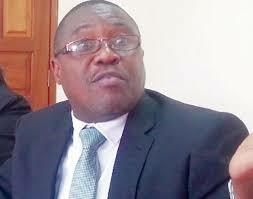 The Deputy CAO, Hajj Wasswa Masokoyi, said priority will be given to the current job holders. The District Police Commander, Mr Tashobya, said they will write to telecommunication companies to avail them with printouts as evidence to mobile money bribery payments. Wakiso District comprises seven town councils, nine sub -counties and four municipalities of Kira, Entebbe, Nansana and Makindye/ Ssabagabo.